Nathan is an actor, author, and artist. 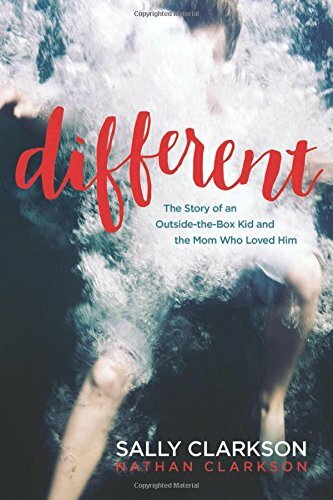 Nathan also wrote a book with my mom about what it was like growing up with Dyslexia, ADD, OCD, Major Depressive Disorder and Anxiety. Why does our culture celebrate anti-heroes? Villainous protaganists? This week Nathan and I discuss the prominence of anti-heroes in film and television. Katniss Everdeen: a flawed, and ultimately, failing hero, who capitulates to the evil she fights. Walter White: a character whose mixed motives always leave us wondering... is it worth it? The Joker: An unabashedly evil character who, for some reason, many people found more compelling than the hero, Batman. Do we believe in Heroes anymore? We need to rethink what it means to have strong, compelling, heroic characters. Another issue is that we think of goodness in terms of not-badness. A shift, I think should take place. We need to stop thinking of goodness, and instead, think of evil as a perversion of good. Goodness is virtue, strength, perfection. Evil is an imitation, and a bad one at that. As Nathan says: darkness is not something, it is the absence of light. So too is badness only a corruption of goodness. as to the accusation that good characters are uncomplicated... what could be more complicated than being good in a bad world? I think we also forget that, often, heroes (particularly super heroes) are meant to represent an ideal. They're not really meant to be normal people. So when we reject the heroes what we're really rejecting is the ideal. We should be more honest with ourselves: is it the ideal we distrust? or has our cynicism just gotten a hold of us? So tell me... what do you think? Are there still heroes out there? If you enjoyed this podcast, consider supporting me on Patreon. Patreon lets you support me while you get more out of the podcast. If you're interested in getting a little more out of the podcast and supporting me as I create podcasts+do my Phd, consider joining my Patreon. It's $10 a month and includes extra content (secret podcasts, monthly newsletters), a discussion board, and a book of essays. As an example: this week's podcast on emotion will be supplemented by a podcast I did with a friend on lament in the Old Testament. If you want access to the supplementary podcasts, check out the Patreon! You can always cancel after the first month if you decide it's not for you. I can't express the extent of my gratitude for your support. - buy train tickets between Oxford and St Andrews so I am able to complete this fellowship. - buy the occasional coffee while studying (I call it "graduate tax" as it really is a necessity while studying). If you're interested, please check out this link.